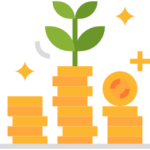 In this English lesson you will learn some of the key English words to talk about investing money. This lesson aimed at B2+ level students that want to improve their vocabulary on business English topics. We all want to try and grow our money. That is why we invest our money in certain financial products. Sometimes our investments are successful, sometimes they are not. My grandfather was a skilled investor. He would put his extra capital to work by investing in property, shares, and bonds. He was always looking for a growth on his investments, either through interest or dividends. Quite often he got a good return on his investments. In fact, one time he made a killing by investing in a mining company whose share price rose rapidly. Investments can quite often turn sour. People will often pour their money into bad investments. They might pump money into a business that goes bad. Maybe they invest their savings in property and the market crashes. Not everyone is a successful investor. Sometimes the risk is too great. The losses on the investment start to pile up and instead of capital gains you get capital losses. In my opinion, very few people strike it rich investing money. Most people often make a small profit or take a minor loss on their investments. It's always a good idea to get some advice before investing your hard earned cash. Financial planners and advisors can tell you the best places to invest your cash. They might charge you a small fee, but it's better than losing all your money. Unfortunately, I don't have a lot of money to invest. The only investments I have are a pension plan for the future and a small rental property. I don't have time to follow the stock market so I don't invest my money in shares. What about you? Do you invest your money? Want to learn more English? Check out this lesson. 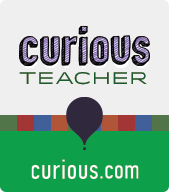 Many of my lessons are interactive and available on curious.com. Please consider buying me breakfast if you liked the lesson. It will help me make more.